TCS, with over 100 voices, has been impressing audiences for more than 90 years both in the UK and abroad. 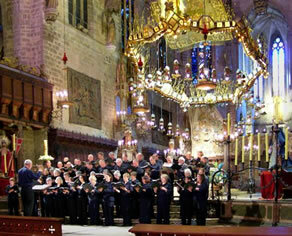 As well as performing the great choral classics TCS has worked with many living composers giving several UK premieres. Christopher Herrick has been the choir’s conductor since 1974. 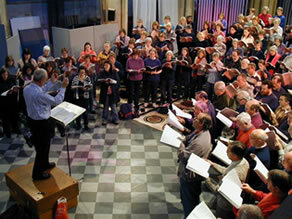 In that time he has led the choir’s development, working with them to perform a huge range of repertoire alongside top-class instrumentalists and vocal soloists in concerts locally as well as in Westminster Abbey, the Royal Albert Hall, St Martin in the Fields, Guildford Cathedral and in many exciting European venues. Our partner orchestras are the Brandenburg Sinfonia, Brandenburg Baroque Soloists and Brandenburg Classical Players. We also have a Facebook page, you can follow @twickchoral on Twitter, or you can download our recruitment poster. 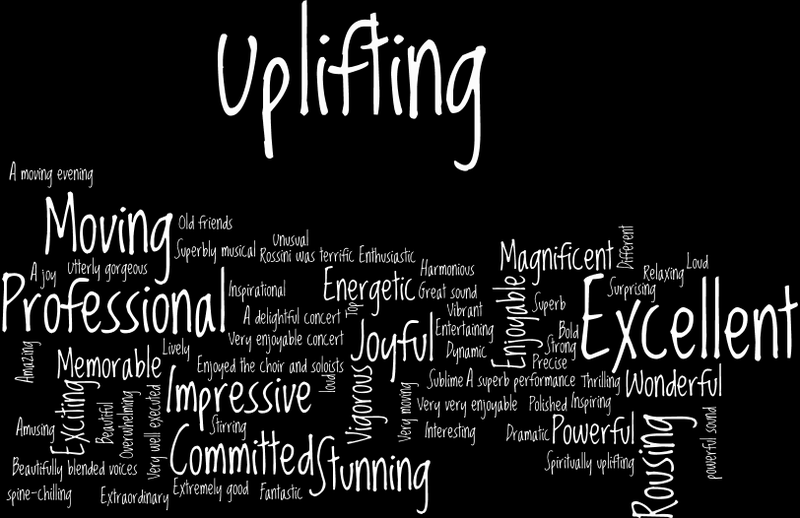 We asked the audience to comment on one of our concerts. This is what they said. In February 2017 we featured on Radio 3's Meet my Choir slot. You can listen here.